06 | MDR und WDR: Studienurteil "ungenügend"
06 | HD Plus startet "Geld zurück Garantie"
48 | Zgemma Star 2S - Chinaböller oder Qualität aus Fernost? 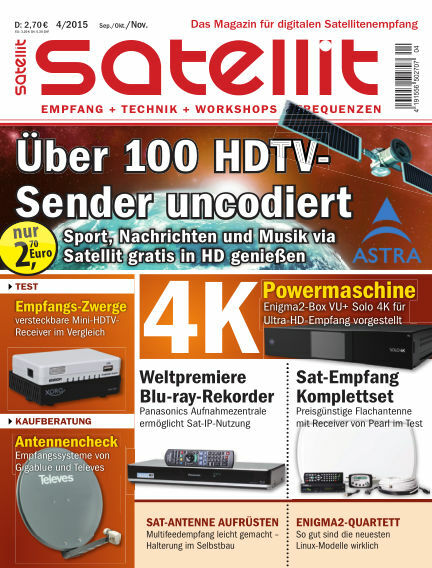 With Readly you can read SATELLIT EMPFANG + TECHNIK (issue 04/2015) and thousands of other magazines on your tablet and smartphone. Get access to all with just one subscription. New releases and back issues – all included.